FIAT DUCATO 35 MULTIJET II 2.2HDi 130 MWB HIGH ROOF VAN Euro-6 LOW MILEAGE SUPERB EXAMPLE Air Con pas, abs Satellite Navigation air bag traction control pas electric windows radio Cd blue tooth central locking dual passenger seat easy clean floor side loading door bulkhead light use, We think its possibly one of the best examples throughout a real credit given to its former user. 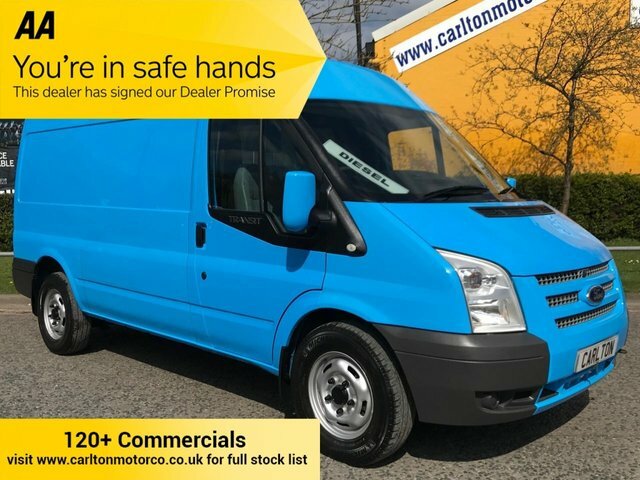 # Same as CITROEN RELAY / PEUGOET BOXER just different badges and trim # [ RARE MODEL ] We have one of the best selections Commercial vehicles around 120+ in stock, Cdv vans, Mwb, Lwb, Extended Frame, chassis cab, Tipper, Pickups, Double / Crew cab, T/Lifts, Luton / Boxes, Specialist units, Welfare units, Beavertail, Crane / Swing +T/Lift, Caged+ Refuge bodies, [ We are family owned and run since 1992 ] + VAT ... £10,950.+ VAT @ 20% = £13,140. 2012 VAUXHALL MOVANO F3500 2.3CDTI L2H1 MWB CHASSIS CAB- FWD ..MASSIVE SAVING NOW PRICE SLASHED !! Vauxhall Movano F3500 2.3CDTi 125ps Chassis Cab Ex local chain of butchers light use,pas abs radio-CD electric windows remote locking 3 seats , We think you will be hard pushed to find better example throughout - Service history 6 stamps 12 months MOT at point of sale ; massive saving now !! We have one of the best selections Commercial vehicles around 120+ in stock, Cdv vans, Mwb, Lwb, Extended Frame,chassis cab,Tipper, Pickups, Double / Crew cab, T/Lifts, Luton / Boxes, Specialist units, Welfare units, Beavertail, Crane / Swing +T/Lift, Caged+ Refuge bodies, MASSIVE SAVING NOW PRICE SLASHED !! Every effort has been made to ensure the accuracy of the above information but errors may occur. Please check with a salesperson.